I've done a little arguing here and there on forums about the general purpose cartridge (GPC) idea, and the closely related but not necessarily identical 6.Xmm rifle cartridge concept, and I feel it is worth reposting some of the posts I've made for reference here on the blog. First, here's a discussion of how shorter barrels negatively impact the GPC concept, relative to 7.62 NATO. One might think that if a GPC equals 7.62 NATO in capability from a 24" barrel, that the same round should equal 7.62 NATO if both are shot from 16.5" barrels, right? This is not in fact the case. What can be seen here is that 7.62 NATO retains its energy at range more gracefully as barrel lengths get shorter than a 6.5mm round. The way the model is set up, 7.62 NATO data was pulled directly from empirical figures, and in either case - 24 or 16.5" barrel - the 6.5mm's velocity was adjusted to match the energy at a kilometer. So there you have it. 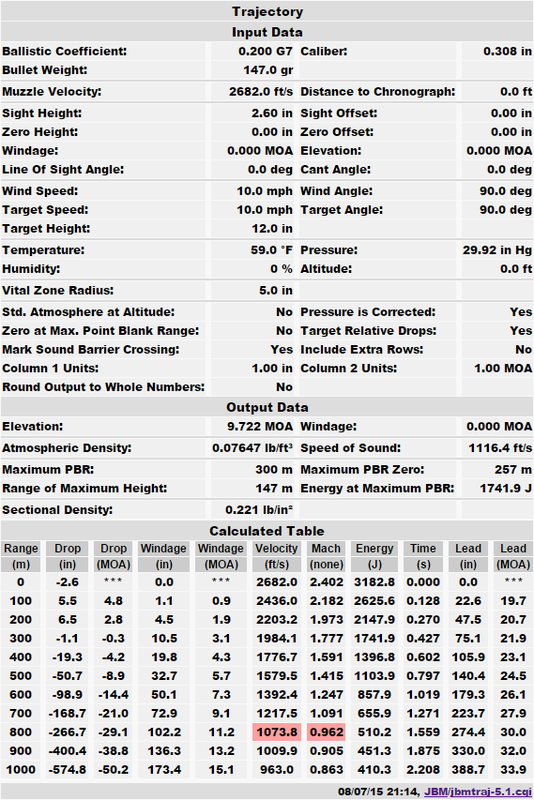 Internal ballistics aside, even the best 6.5mm GPC loses out to 7.62 NATO as barrels get shorter. Note that 7.62 NATO retained 92% of its muzzle velocity when the barrel was shortened by 7.5", but to catch up to that, the GPC has to cling to over 97% of its muzzle velocity. The most common light steel cored ball ammo has a BC very similar to M80, and generally speaking a slightly lower or equal muzzle velocity. I would be very surprised to hear that the more exotic types - especially the 7N1 - were at all common in Afghanistan, and I also have doubts about their "legendarily" high BCs. The new Berger 130 AR Hybrid ogive bullet, with its i7 FF of .919. Note that the ogive is identical to the tangent ogive of the 7N1, and that the boattail is not too much less severe. Because of this, I cannot consider 7.62x54r.net's BC figure for the 7N1 to be likely. It's much, much more likely that the i7 FF of these projectiles is in the 1.10-.98 range, giving the 7N1 a BC of .229 G7, at best. Given the lower velocity, this makes it ballistically extremely similar to 7.62x51. 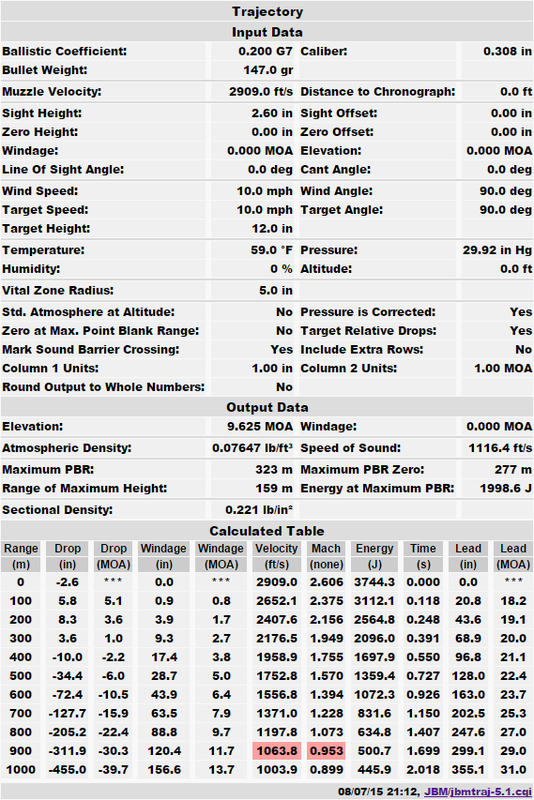 If you look at Hodgdon's numbers for 7.62x54R and mate those with 7.62x54r.net's BC figure for the 7N1, the round looks quite scary, but the velocities produced by actual military ammunition, coupled with more realistic estimates of the BCs of military projectiles give much more sedate ballistics. The only way that the Russian caliber could be overmatching 7.62 NATO substantially would be if Russian AP ammunition were finding its way into the hands of enemy combatants. Not only is there little evidence that this is happening, it means the correct response would be to field a round with more penetration than current M80 Ball - which is exactly what the US Army has done with the M80A1. That doesn't really make sense. The shorter ogive was chosen because the ogive they were using - retained from the earlier .30-06 M2 - was short enough that the bullet could be buried more deeply in the case. Later, the form factor was improved by going to a 10-caliber secant ogive. The 7.62x51 NATO was further specifically designed for a 700m danger space requirement, falsifying what you said about it being designed for shorter ranges. Even if I've misunderstood you and you were referring to 5.56mm, that round was designed for a 500m requirement. You cite the 7.9x57 sS Patrone, but that round is the exception, rather than the rule. The 7.9x57 was not designed with an ogive that long; the earlier S Patrone being almost identical in shape to the aforementioned M2 Ball. The fine ogive of the sS ball was applied later, and they mostly got away with it because the 8mm projectile was so wide. The AP core for the SmK round is in fact smaller in diameter than that of the .30 caliber M2 AP, despite the projectile being .381mm wider. It could not be any wider, or else it wouldn't fit into the fine form factor - the same form factor as the sS Patrone. So you can see that having a fine ogive has consequences, which is why even in rounds like the 6.5x55 Swedish Skp. Ptr. 41 the ogive is not that long, surprisingly. This all goes back to what I've been saying for some time now; while it's nice to have a fine ogive shape, at the end of the day having the finest projectile shape with the lowest i7 FF puts limitations on your projectile design, and less elegant projectiles not bound by those limitations may actually perform better. It's also worth noting that the shape of the projectile of one kind of round influences the shape of others. A poorly shaped tracer projectile may not match the trajectory of the ball round closely enough, and an AP round that required a different zero than the ball ammunition would be much less useful than one that didn't. At the end of the day, all these requirements must be met, and these can drive poorer projectile shapes than the GPC crowd often assumes. I think it's worthwhile, too, to take a tangent and discuss why rifles firing more powerful ammunition cannot compensate for a lack of machine gun teams. I'll make it short, I hope. The machine gun team consists of the gunner and assistant gunner, which - like a sniper and his spotter - gives it much better situational awareness than a single rifleman. Both the gunner and assistant gunner are well-trained to make the most of this relationship, and are equipped to provide fire at longer ranges, and are given a tripod and tracer rounds to assist them in this. When you hear things like "800m is crew served weapons range" this is what is meant. Two men with the right equipment can provide accurate fire out to much longer distances than is possible with one person with a rifle, in combat conditions. For example, let's examine what happens when the trigger is pulled against a target at longer ranges (over 200 yards). The hammer falls, and the cartridge ignites. Immediately, the gun begins to recoil under great acceleration, and flash and blast emanates from the weapon's muzzle, obscuring vision for just a moment. Within that moment the round has traveled a considerable distance downrange, and the further out it impacts, the less visible the impact is, both because the impact is more distant and because there is less velocity to the impact. The round will most likely not hit the target, due to a wide variety of errors that are impossible to consistently compensate for on the first round. If this is a rifleman, he is likely to blink during firing, and the recoil of the gun disturbs his sight picture - his rifle is after all not equipped with a tripod, and his ammunition is not (usually) traced, so he has a harder time distinguishing the trajectory of his fire. Now, if this is a machine gun team, the AG is sitting there watching all this happen. He has seen where the round has gone, as much as is possible, and the gun is properly equipped with a tripod and tracers, not to mention a T&E mechanism. Being a machine gun, too, fire comes in bursts, improving the probability of a hit. The AG is dedicated to assisting the gunner in putting out accurate fire - he has no other job (besides keeping the gun fed). His eyes help the gunner pick out targets, and he's able to tell the gunner immediate feedback that the gunner otherwise would not have - like when a civilian is sighting a rifle in on the range, having a spotter is a huge help; at longer ranges it's essential. So for this reason, I strongly contest the idea that a lack of MG teams can be compensated for by issuing more powerful rifles. No, a lack of MG teams can only be compensated for by fielding more MG teams. The subjects of these posts will probably be combined at some point in a larger more in-depth article for The Firearm Blog, but with the Light Rifle and daily posts currently occupying my time, I cannot say when that post will arrive. I'm assuming this 6.5 vs 7.62X51 article comes from nutnfancy's creedmoor vid? So I guess we made a good move staying with the 7.62 NATO for snipers, etc. I wonder if we use a Berger 140 hybrid Ogive .317 G7 BC would change the short barrel issue that the 6.5 has? Looking at the 5.45 AP rounds, they look like 6.5's in "fineness" and still work for AP rounds. Or am I incorrect? I haven't seen that video and do not generally watch nutnfancy. 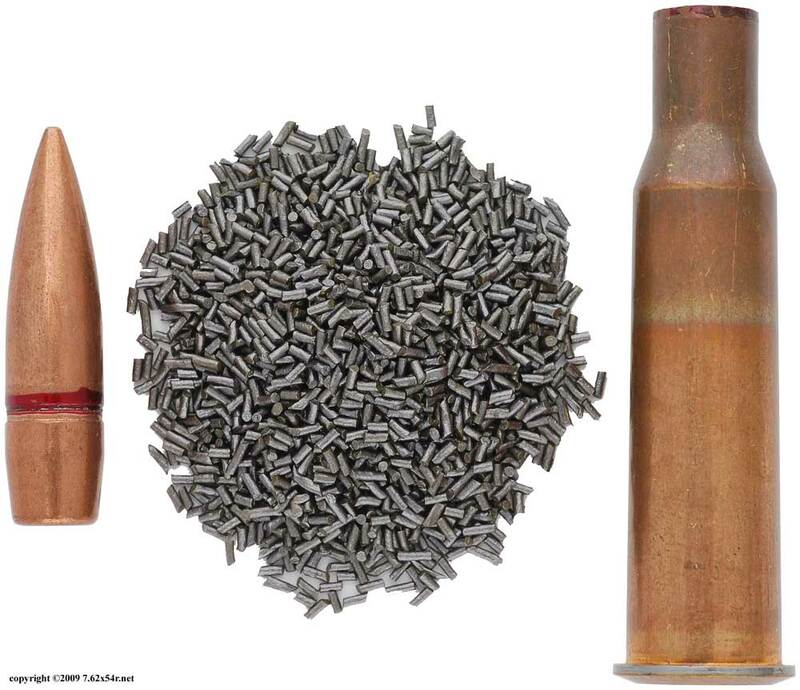 5.56x39 projectiles have form factors in the same range as some of the longer 6.5mm bullets. They are pretty light for caliber, however. I'm not saying that the 7.62 NATO is necessarily "better" here. I don't think the problem can be boiled down to that degree. I am saying that additional requirements will necessarily blunt the hypothetical advantage that 6.5mm rounds have in military use vs. 7.62. You should do consulting for US MIL someday. Your pretty good at analyzing this small arms stuff. I notice that you use Joules instead of Lb-ft for energy. Why is that? Is there a standard somewhere I don't know about? I confess that I am firmly in the 7.62x51 camp for now, in part because of the versatility. If a 6.x cartridge is adopted and widely used then I will happily take advantage once the price comes down. I think that a great many shooters will do the same but with so many good options at 7.62 / .308 and reliable ammo readily available switching to a boutique cartridge only makes sense if you're a competition shooter or someone else is buying the ammo. I looked into the "overmatch" issue and came away with no ballistic advantage for the Russian round. But I believe the reason for 7.62x54r "overmatch" is that the Russian machine gun doctrine still lists the max effective range for their machine guns when used in an indirect fire support role (plunging fire), and US Doctrine doesn't. The PKP is listed with 1500 meter max effective range, despite firing the same ammunition as the older PKM which had sights only calibrated to 1,000. If you compare the max effective ranges listed for the 240B and the MAG58, they are different not because they are different machine guns, but because the 240B machine gunners are no longer taught to provide indirect fire support. The Australians on the other hand, did not forget how to do this, and use their FNMAGs to good extent, using the same NATO spec ammunition as the rest of us. And since this is not exactly an arcane skill, plenty of bad guys know the same skill (why the US Army doesn't bother training on it any more is beyond me, the USMC still has it in their manuals). But there is some operational backup to the myth, when Taliban were using their PK machine guns at ranges beyond return fire of 240B, it is because they knew the terrain, knew where to place their spotter so they could get accurate fire from that distance, and had ingress and egress routes not in direct line of sight from ISAF posts. Yeah, I think the caliber debate in part comes from the traditional American response to overcome through technology; in many ways I think a shift in tactics would work better. I think the argument of 7.62NATO vs. 6.X GPC is a little misplaced. A 6.X GPC cartridge would not be meant to replace 7.62NATO, it's meant to replace 5.56. 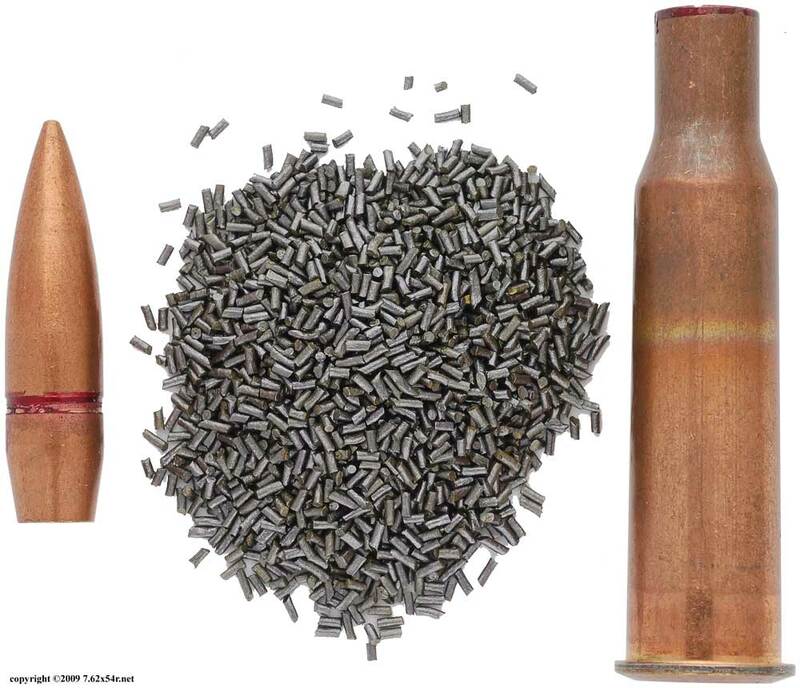 This is why most 6.X rounds are constrained to the dimensions of the M16 magwell (6.5 Grendel, 6.8SPC). A 6.X cartridge that would be significantly more effective than 5.56 and could also be used in some roles where 7.62 would be used would simplify supply greatly.